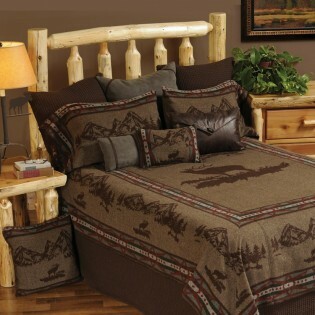 The Rocky Mountain Elk Bed Set feature a single layer blanket style coverlet with decorative button hole stitched edges and an elk and mountain scene in shades of brown with gray, rust and touch of green. 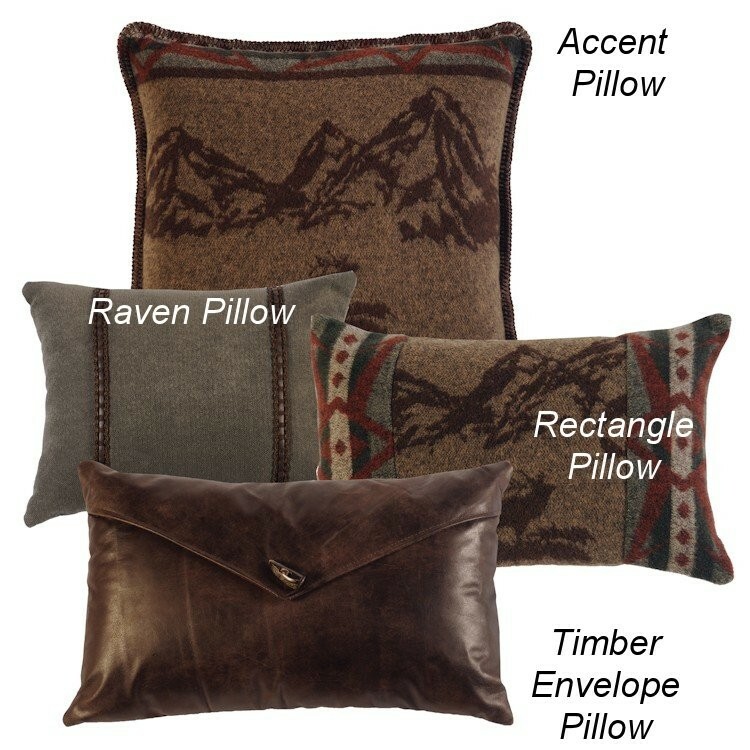 The pillow shams are constructed in the same fabric as the coverlet in a pillow case style while the tailored bedskirt is made of a waffle textured fabric in a dark milk chocolate. 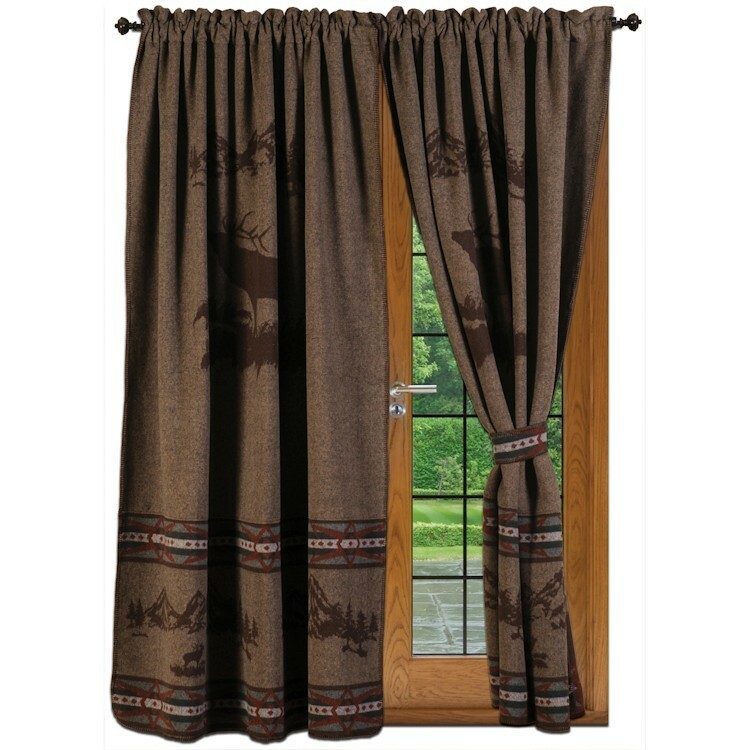 Each deluxe includes the added luxury of three euro shams (two that match the bed skirt and one in a fine gray herringbone with decorative trim at the corners).